Most people have that one film which hits all your nerve endings and sends more shivers down your spine than anything else you have seen before or since. 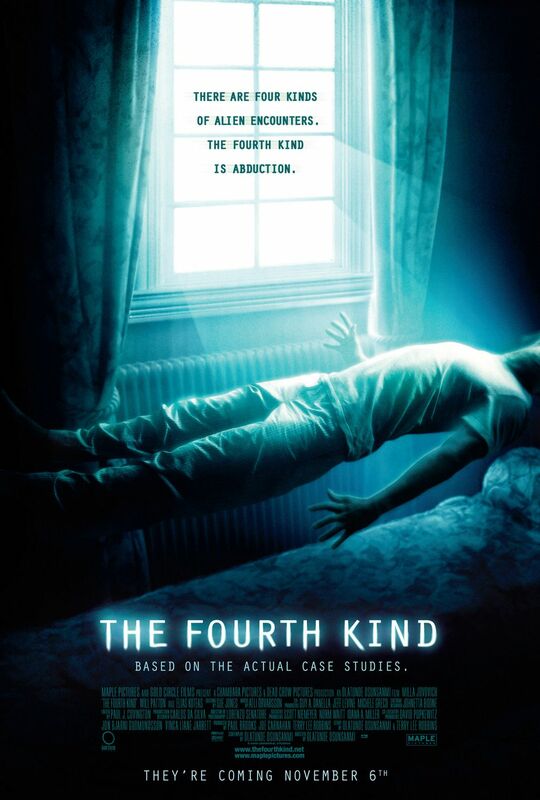 For me that film is the sci-fi/horror/documentary alien abduction themed film, The Fourth Kind. The film opens with an interview from the director of the film – Olatunde Osunsanmi – and the real Dr. Abigail Emily Tyler, who the film is based upon. As we proceed further we learn that Dr. Tyler’s husband was murdered a few months earlier, and she has decided to carry on his work. Which unfortunately consists of interviewing various town’s people from Nome, Alaska. They have all been suffering the same night terrors. Every night they will wake up and see an owl starring through the window at them, however after she puts them under hypnosis it becomes clear that it is not in fact an owl but something much more sinister. As Dr. Tyler gets deeper into what is happening in this isolated town, she begins to think that she is also connected, and that herself and her children are in danger. Not from who, but from what. The film brings an amazing way of telling the story to the screen. 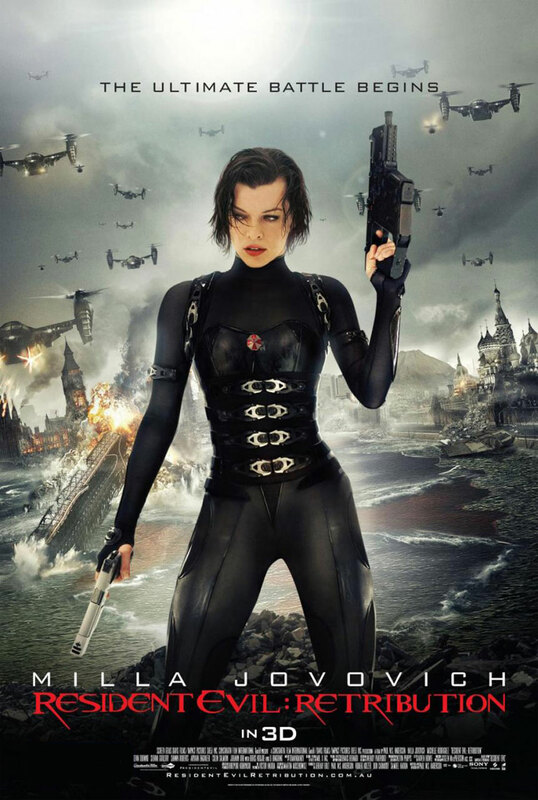 Although most of it is made up of actors playing out the events that happened – with the talented Milla Jovovich as the lead protagonist – part of the film plays the archive (supposedly real) footage that Dr. Tyler collected while she was conducting her investigation right alongside the actors interpretation. This way of showing the story keeps you gripped as your eyes begin to dart back and forth between the two screens. What is included in these videos is quite disturbing at times – depending on what you believe, and will leave you thinking that you aren’t even safe in your own room, no matter where you live. Of all the things in the horror genre which have been created to scare and shock its audiences, the one for me is definitely aliens. Give me slashers, blood, guts and make-up so realistic that you think you’re watching a snuff film any day. But as soon as you throw aliens in to the equation my arm hair will be standing straight up. What it is that gives me that feeling is that it’s a look in to the unknown, we don’t really know what is out there and what they are capable of doing. Humans may have searched parts of space and supposedly found no hard evidence as of yet – and I’m not saying that aliens have even visited Earth – but to say that we are the only life in the whole universe, with all of the galaxies and solar systems out there is quite an ignorant statement in my opinion. We have barely scraped the surface of space so we can’t debunk the theory that we are not alone. With this film audiences can go either way, as I think it all depends on how open-minded the viewer is. There is always the possibility with films like this, that attempt to prove the footage is real, that they are complete hoaxes. If that is the case with The Fourth Kind then it is one of the best found-footage films I have ever seen, and if is not the case then I really don’t feel safe on Earth any more. In the end what you believe is down to you. Tag Line: There Are Four Kinds Of Alien Encounters. The Fourth Kind Is Abduction.